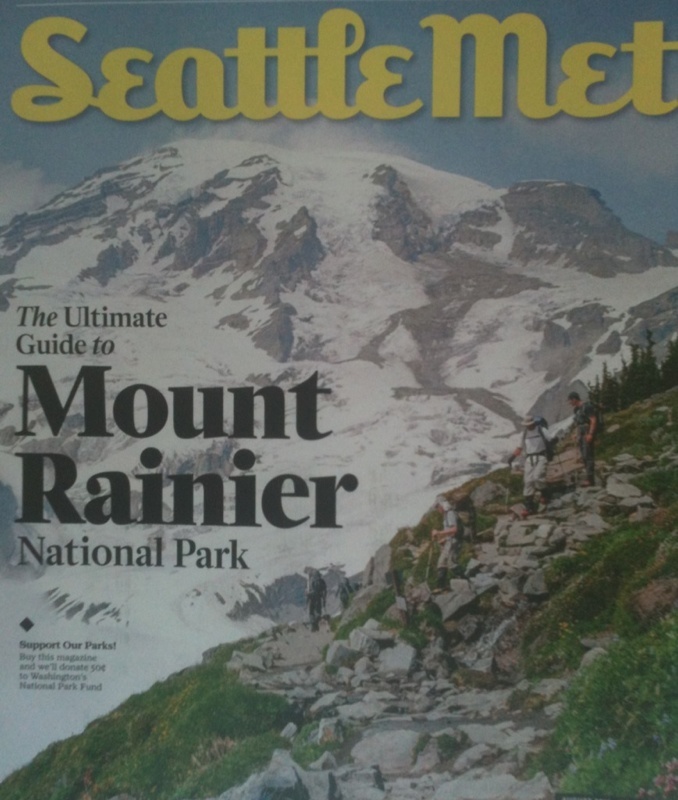 The second annual Smartest Spenders in Sports (SSS) rankings for this past season are out by Bloomberg Businessweek and they offer up some interesting blog content and insight about whether Professional sports teams burn through big money wisely. The ranking determines how well the 122 franchises in the NFL, NBA, NHL, and MLB spend their money. 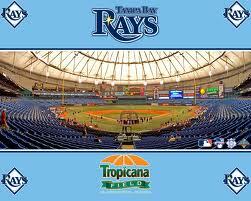 Does keeping up with the techie Joneses spending equal to a more efficient pro franchise? Adobe is TV Everywhere service because of Project Primetime and the new 2.0 version of their Pass authentication Solution. 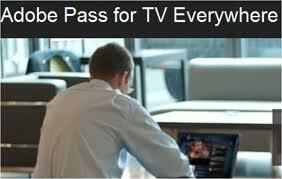 Pass 2.0 is available for 98 percent of payTV households to use when authenticating their accounts in order to instantly watch premium sports content on nearly any device. The London 2012 Olympics on NBC, NCAA March Madness, Euro 2012, and the NBA Playoffs, all used Adobe Pass for verification, as will the new Pac-12 channel, and others this fall. 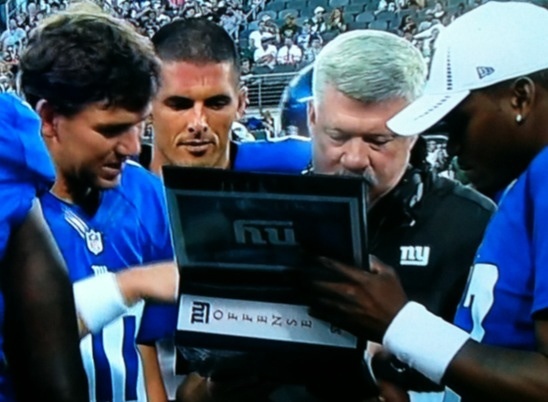 New York Giants quarterback Eli Manning using existing NFL sports technology to strategize with the coaching staff and players in-game during the 2012 football season. 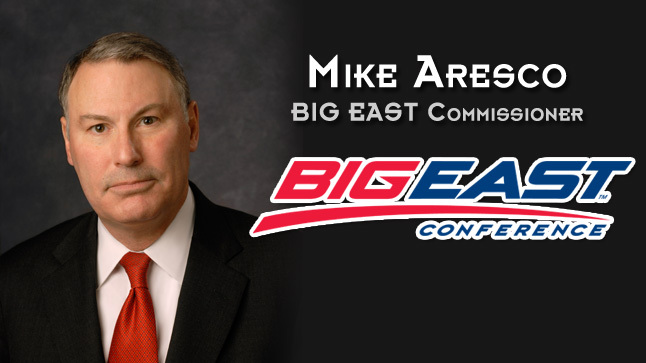 New Big East Commissioner Mike Aresco plans to create a “State of the Art Conference.” I was virtually present at today’s media conference where Commish Mike was officially introduced. Mike wants to tell a story that focuses on the future and at the same time maximizes coverage of the already proud leagues fourth reinvention. 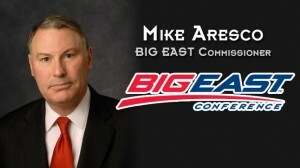 The reconstituted Big East expansion together with the hiring of Mike is the beginning of their techie BCS future. After all the realignment dust has finally settled, the Big East can now claim that they are the first “cutting edge'” conference to cover four time zones, which in television rights means big sports business potential. Bloomberg Sports continues to be a leading innovator of sports technology, this time together with the Los Angeles Angels. By working with 26 of the 30 Major League Baseball Clubs, Bloomberg Sports has developed a nearly standardized player evaluation System, and accompanying analytics tools, that are completely customizable for the Angels to begin using as a competitive edge by the start of the 2013 MLB season. 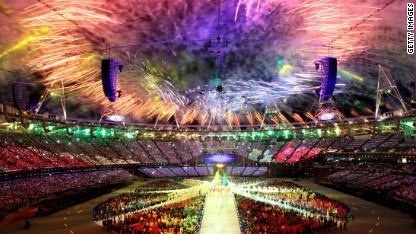 The London 2012 Closing Ceremony was held at Olympic Park – pic via CNN/GettyImages. 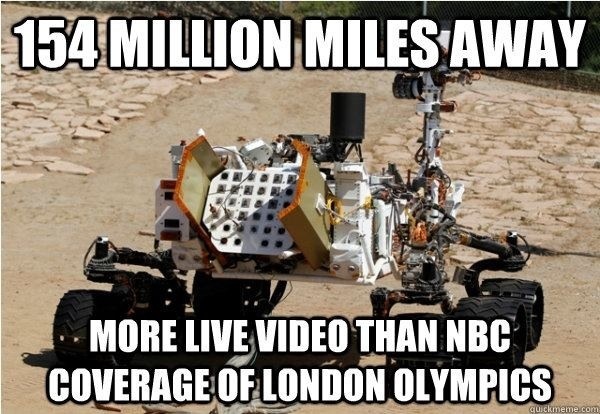 London 2012 ‘Digital Games’ on NBC are time delayed, the NASA Curiosity on Mars is space delayed. 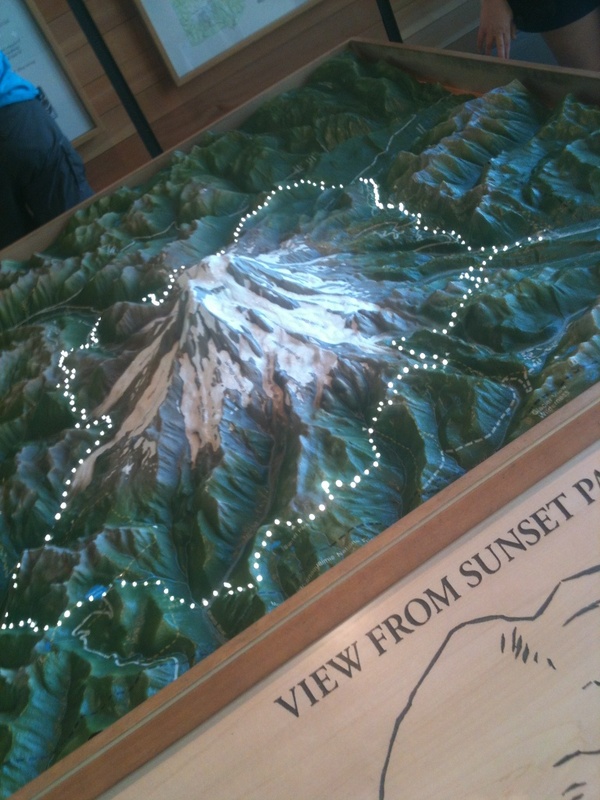 Interactive Mount Rainier map and trail technology inside the @MountRainierNPS Visitors Center.